Antarctica Travel Centre can look after all aspects of your holiday; the voyage, flights, pre and post accommodation, transfers and travel insurance. 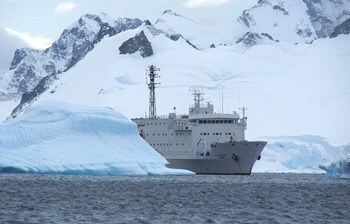 We start by asking you lots of questions – where to (just the Antarctic Peninsula, or a voyage with the lot – Antarctica, Falklands & South Georgia), when, for how long, what standard and style of ship or cabin, and whether you have any particular personal interests that may help select the voyage or ship. Once we have a good understanding of just what you’re looking for, we can begin to select the best voyage to meet your time and budget requirements and, most importantly, that will deliver interest and enjoyment in an experience to exceed your expectations. 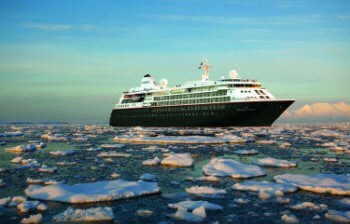 Please book early: Many of these ships book out 10-12 months in advance, particularly over the December/January period. Please also consider that there may be only a small number of cabins in the category you would prefer. If you’re thinking of travelling over the Christmas and New Year period our advice is simply to book as early as you can, even a year or more, and we can add flights as soon as they become available. So, to reiterate, BOOK EARLY to allow us to put together the very best itinerary for you. 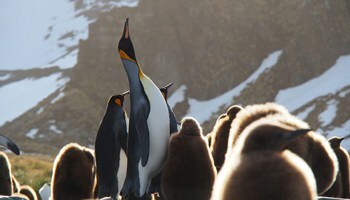 In simple terms the Antarctic Peninsula, Falkland Islands and South Georgia open up for exploration in late October and early November and the season runs through until March (i.e. our Australian summer) when the shortening days and encroaching sea ice close this magical place to all but the hardiest visitor. 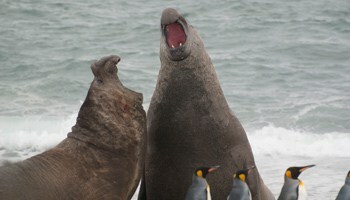 If you would like to witness the dominant bull elephant seals battling for control of a harem of females on the beaches of South Georgia, you must take an early season voyage – leave it too long and the bulls will have headed out to sea. 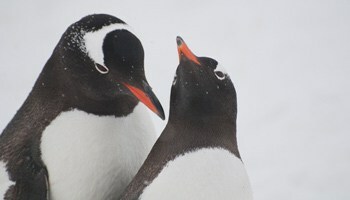 On the Peninsula the penguins are arriving and beginning their courtship displays. The daylight hours are long and the beaches and hillsides are now hectic with tens of thousands (sometimes more) of courting penguins. After a relatively brief period of calm while both parents are incubating the eggs, the penguin colonies erupt into activity once again and feeding newly hatched, hungry and fast-growing chicks becomes a full time job. Seals, skuas, petrels and penguins are all busy attending to their sub-adult young and the ‘summer’ will soon be over. 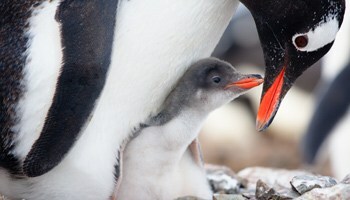 Penguin chicks slowly lose their down, to be replaced by their adult feathers. Whales, who have been busy feeding throughout the Antarctic summer, seem to have more time now to investigate their visitors (us! ); leopard seals have an easy time catching juvenile penguins who are taking their first swim – and then the brief season abruptly comes to a close. It’s difficult to provide a weather chart that would be valuable as Antarctica is a place of extremes. That said, on the Peninsula the daytime temperatures are often well above freezing. There is a saying that is quite apt – “There’s no such thing as bad weather, just inappropriate clothing”. We will advise what you should pack (and what will be provided to you on board) to ensure the above maxim does not apply to you. The Drake Passage can be the ‘Drake Lake’ (calm) or the ‘Drake Shake’ (rough) although, surprisingly, many voyages have relatively smooth crossings. We have access to a wide range of wholesale airfares and have excellent relationships with our key airline partners. Our main airline partner is LATAM Airlines. Irrespective of whether you book directly with us or with your preferred travel agent, we’ll want to know the details of all of your fights – flight times frequently change and we want to make sure your transfers and other arrangements are amended accordingly. We only book flights in conjunction with tailor-made land (and sea) arrangements booked through us – we don’t book just flights, sorry. LATAM Airlines have daily services from Sydney to Santiago. Most flights fly via Auckland, with direct services in conjunction with Qantas. For those of you who live in, or near to, Melbourne the good news is that LATAM now fly directly to Santiago three times a week. LATAM Airlines have an new fleet of planes as well as many new airports throughout South America. 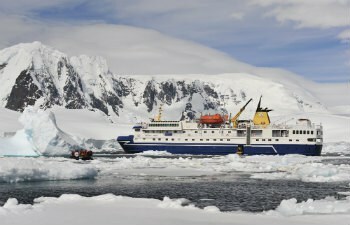 If flying to join an Antarctic voyage you will need to fly first to Santiago, Chile’s modern capital, and then onto either Buenos Aires and then Ushuaia, or to Punta Arenas if flying to King George Island, on the Antarctic Peninsula, or to Mount Pleasant in the Falkland Islands to board your chosen ship. Antarctica Travel Centre & South America Travel Centre have access to wholesale fares and work closely with LATAM Airlines. NOTE: We only book flights in conjunction with tours or voyages – we don’t just book flights – sorry. QANTAS fly from Sydney directly to Santiago three times a week (currently X Y Z). It’s worth noting that if you’re adding several flights within South America it’s worth considering flying on one of QANTAS’ codeshare flights with LATAM to enable you to have access to LATAM’s Airpass within South America. 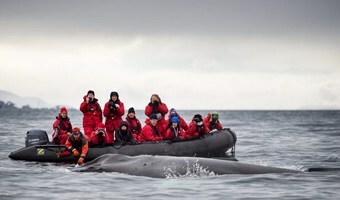 One of our specialists will be happy to explain the benefits as well as booking all of your flights to ensure they link appropriately with your chosen Antarctic voyage. It is our company policy to have all clients arrive into the departure port/city at least one day prior to the voyage departure date – we do not want you to watch your ‘trip of a lifetime’ sailing down the Beagle Channel without you on-board. Air New Zealand fly from Auckland to Buenos Aires (Argentina) three times a week. If you are joining a voyage departing from Ushuaia this can be a good option; as if you fly (with LATAM or QANTAS) via Santiago you still have to fly to Buenos Aires (2 hours) before flying south to Ushuaia (3 hours 35 minutes). 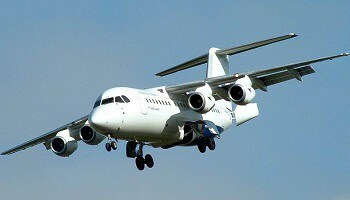 A BAE-146 aircraft is used for flights from Punta Arenas (Chile) to King George Island in the South Shetland Islands. The plane was manufactured in the UK by British Aerospace (now part of BAE Systems). It is a high-wing aircraft with very short runway requirements, which makes it particularly suited for landing and take-off in Antarctica. The aircraft is expertly operated by Aerovias DAP, which has more than 20 years of experience flying in Patagonia and Antarctica. While very few Antarctica Fly and Cruise departure have ever been cancelled due to weather conditions, some departures have experienced delays of up to three days. It is important that prospective participants understand that weather conditions could impact the operation. Should weather delay a departure, contingency plans will be put into operation. Either leg of the flight can be delayed so flexibility should be allowed when returning home (which is why a night in Punta Arenas either side of your voyage is necessary). Please also note that as the plane takes a maximum of 70 passengers – larger ships have to utilise two flights – with double the chance of delays on flight days.